Step 1: Click customize product. 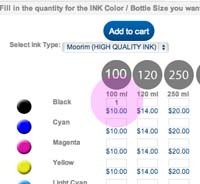 Step 3: Fill in the quantity for the ink Colour / Bottle Size you want. For example : if you want 100ml black ink , just you need type "1" in to the box. 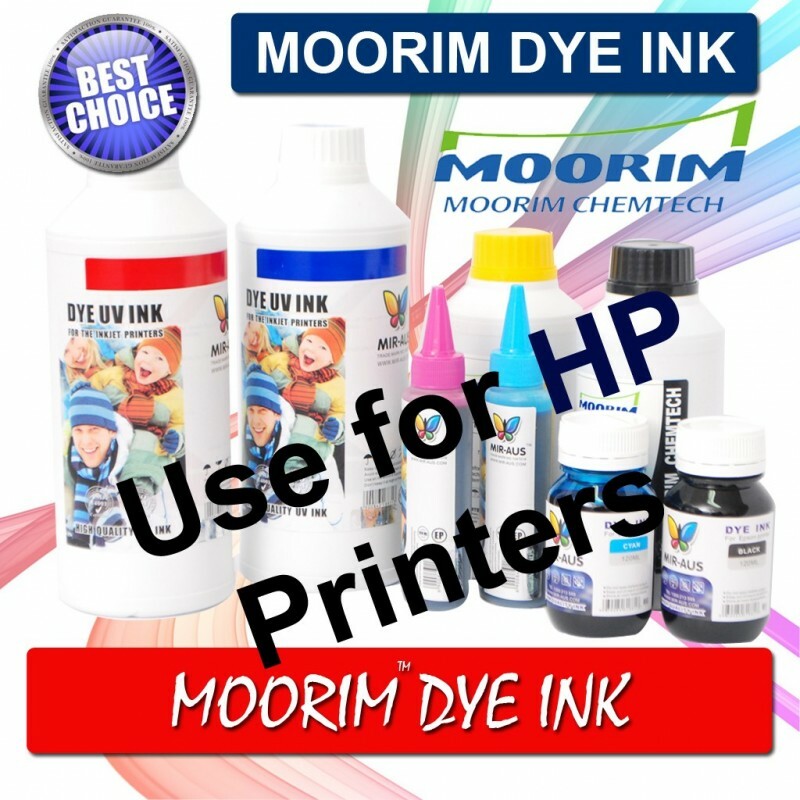 Step 4: Click "Add to cart"
*For Hp 564 cartridges which use 5 or 4 cartridges, Larger black use Pigmnet ink. Note: you need a syringe to fill your containers. 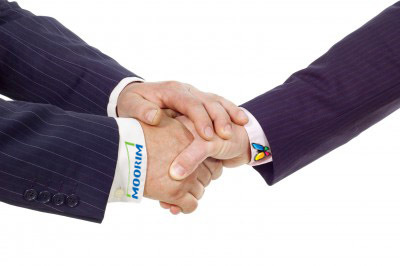 Moorim Chemtech, a next generation leader of ink development based on the newest nano technology is recognized of its quality in the world market as it expands its realm from narrow format ink to wide format ink. 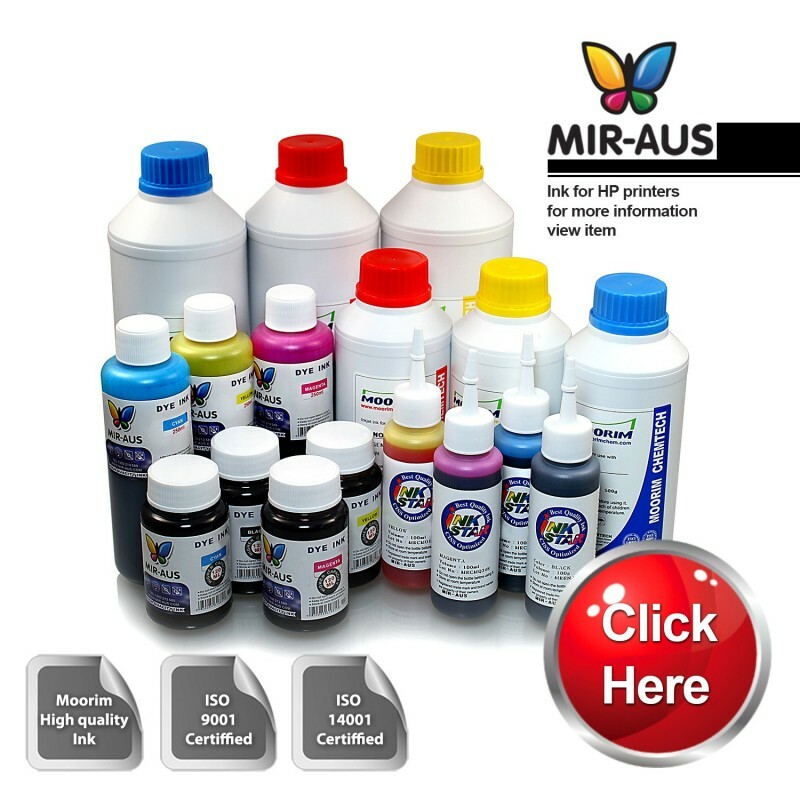 Besides moorim Chemtech who keeps dispersion technology and high quality ink production technology of world class will lead the ink industry by persistent R&D, rearing professionals and development of its unique ink technology through it. 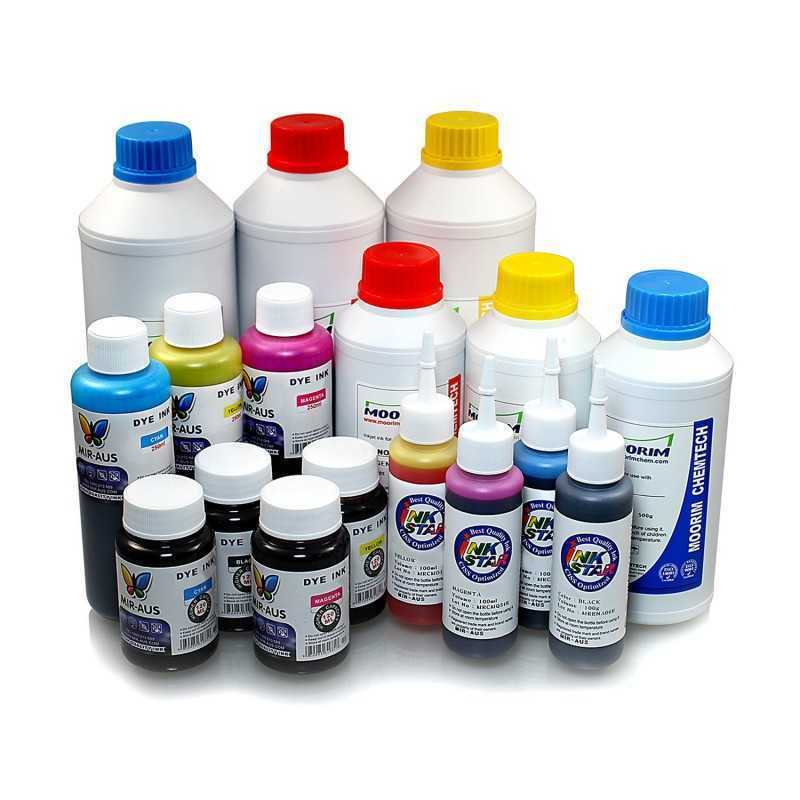 Possession of nano-pigment ink technology through independently developed ink dispersion and refinement technology. Possession of 50 or more of independently developed novel formulation. 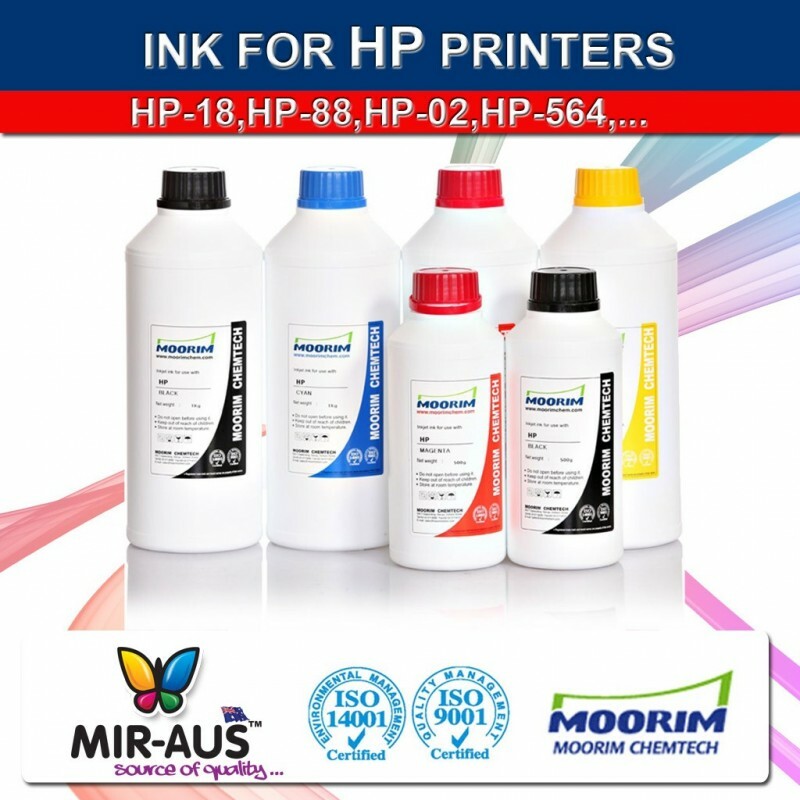 Moorim Chemtech is playing the role of leader in developing the next generation ink based on its state of the art, which includes outstanding research personnel and modern chemical study equipment. The pigment produced by the accumulated technology of dispersion is being recognized by its stable quality and outstanding output of highest level in the world.